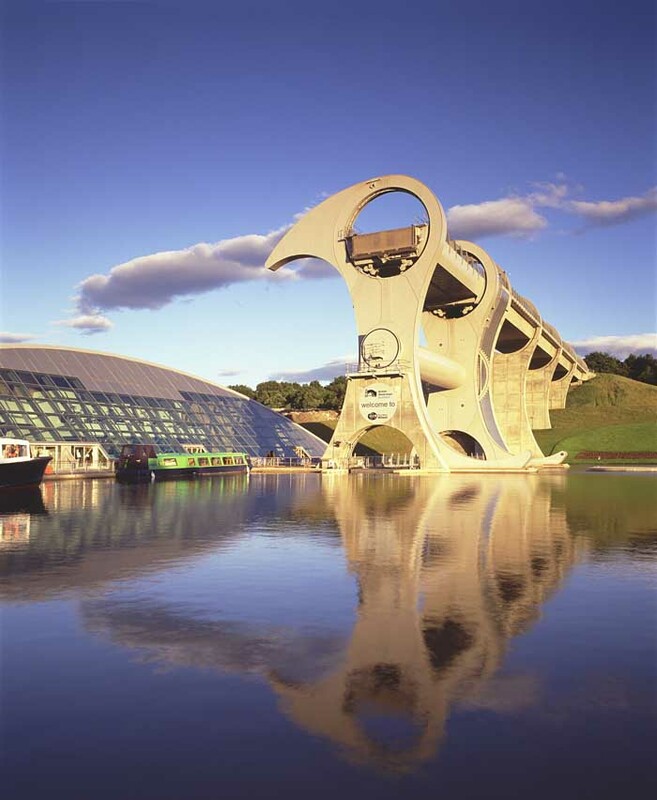 RMJM’s Falkirk Wheel is a 35m high rotating boat lift, the world’s first. 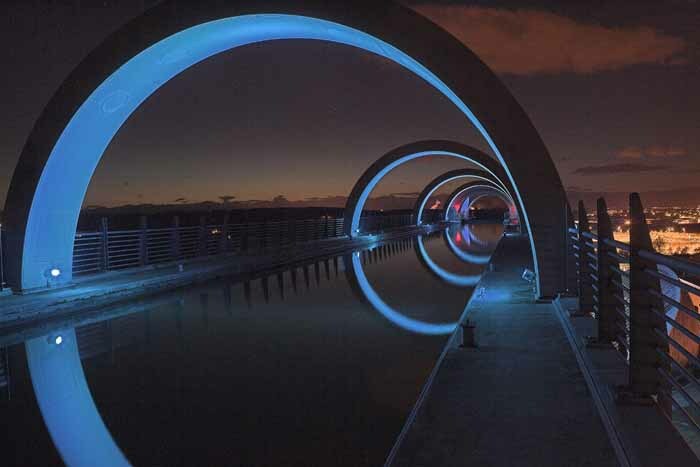 The Wheel is located at Bonnybridge close to Falkirk and forms the focus for the £84.5m Millennium Link project reconnecting the Forth & Clyde and Union canals between Glasgow and Edinburgh and coast-to-coast across Scotland. Consultants and Butterley Engineering for Client British Waterways. 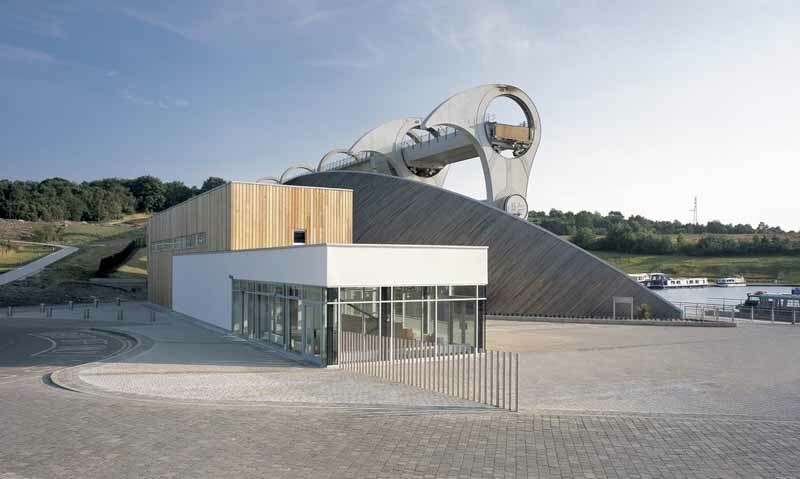 Adjacent to the Falkirk Wheel is a £4m visitor centre also by RMJM. The £17m project includes additional canal plus canal basin, two aqueducts, three locks, a railway bridge and a tunnel. The Waterways Trust Scotland arranged planting of five thousand trees on a new section of towpath at the site of The Falkirk Wheel. The aqueduct leading from the Union Canal to The Falkirk Wheel uses a 145m long tunnel under the Roman period Antonine Wall. 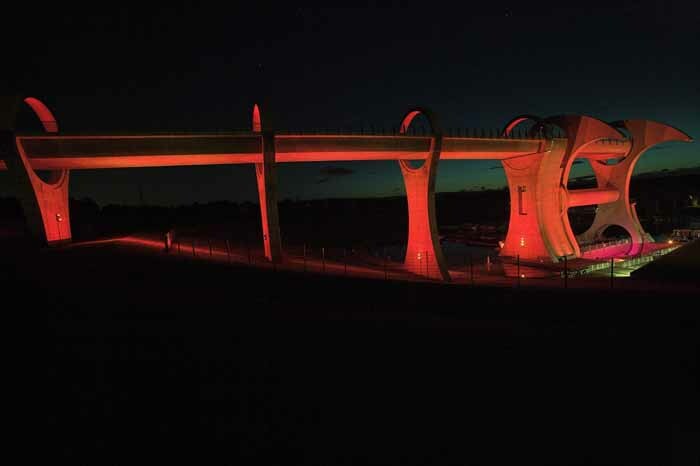 Studio Due architectural fixtures and Robe moving lights and control were specified and installed by Glasgow-based SSUK in a new permanent lighting installation at the Falkirk Wheel. The fixtures and control were supplied by obe UK. 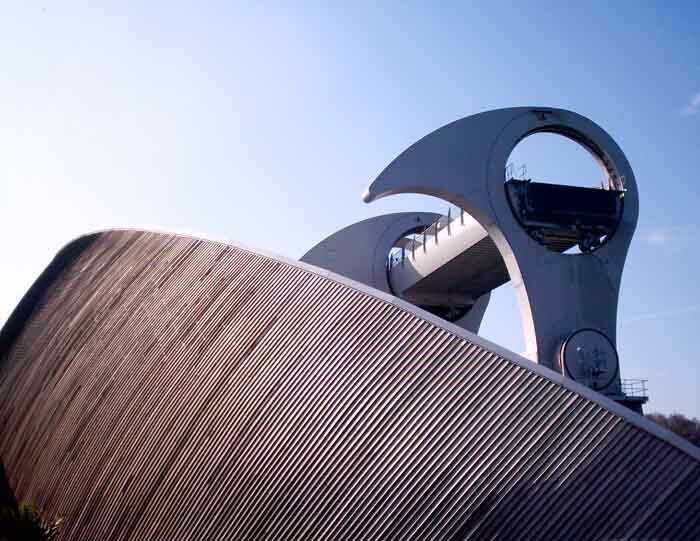 The unique and fabulous Falkirk Wheel, an iconic fusion of industrial art and engineering innovation, is the world’s first and only rotating boat lift. 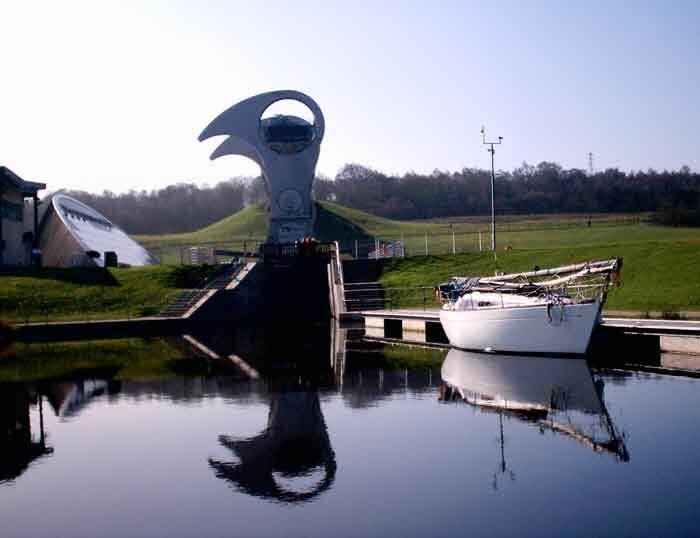 It links two canals with water levels 115 ft apart, a feat traditionally requiring 11 locks! 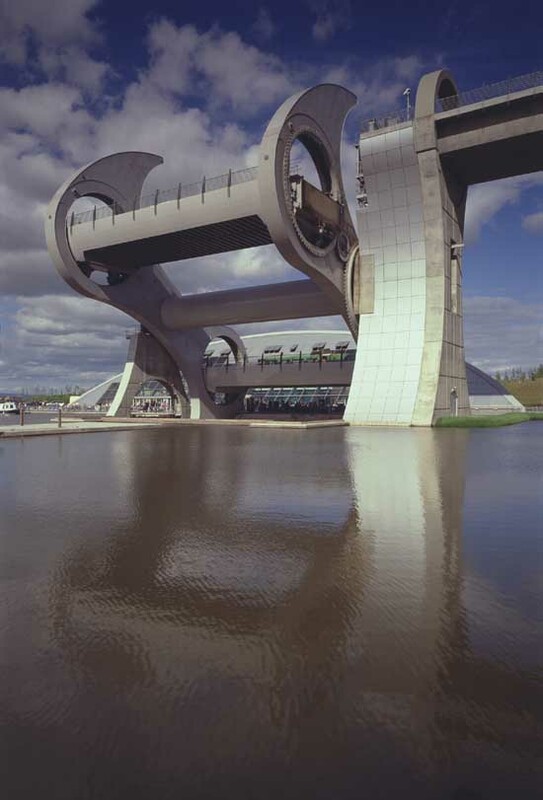 The Falkirk Wheel was designed by Scottish architects RMJM. 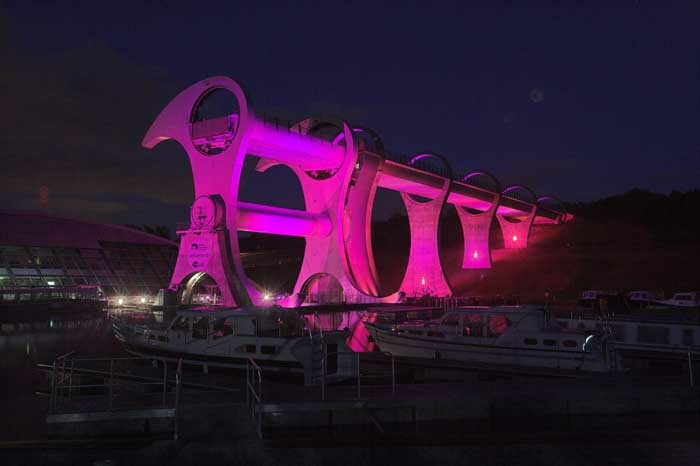 It’s the spectacular centrepiece of the £84.5 million ‘Millennium Link’, the UK’s largest canal restoration project, developed by British Waterways to reconnect the Union Canal with the Forth & Clyde Canal, re-establishing east-to-west coast of Scotland access by water. 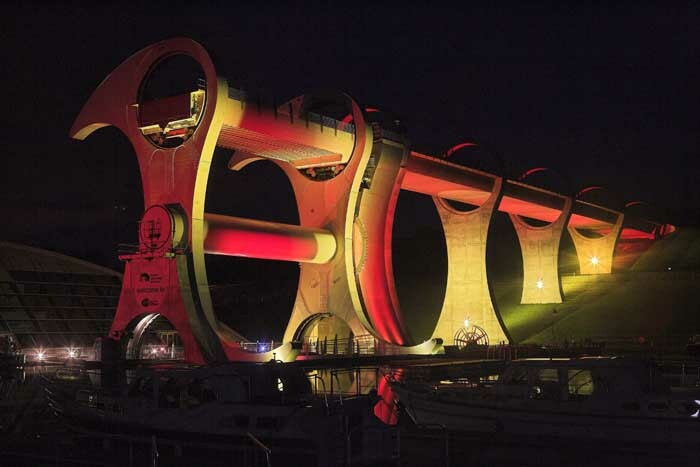 – was approached by British Waterways – and asked to some up with an eye-catching and innovative scheme to light the Wheel, completed in 2001. 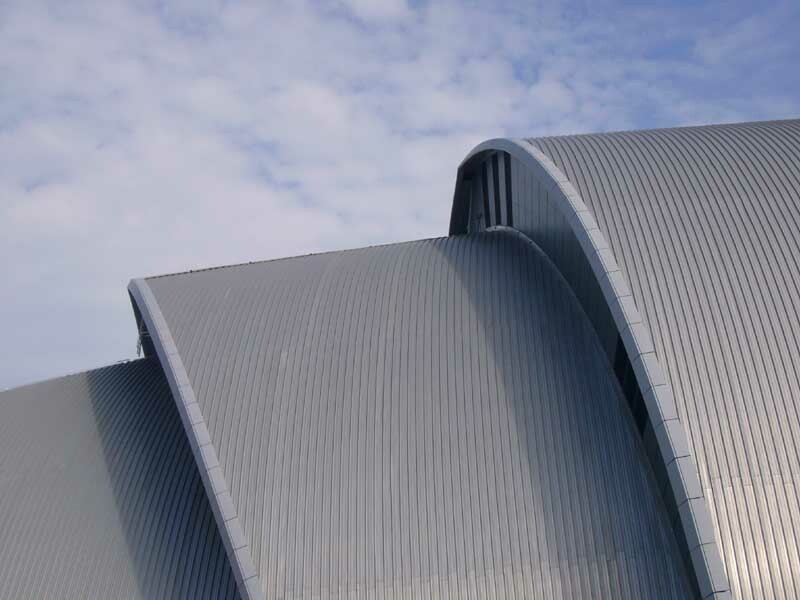 With the adjacent visitor centre also hired out for corporate functions, it was realised that changing colours and the possibilities of image projection onto the pale grey 1200 tonne steel structure would be a big plus point to anyone using the venue for an event or special occasion. 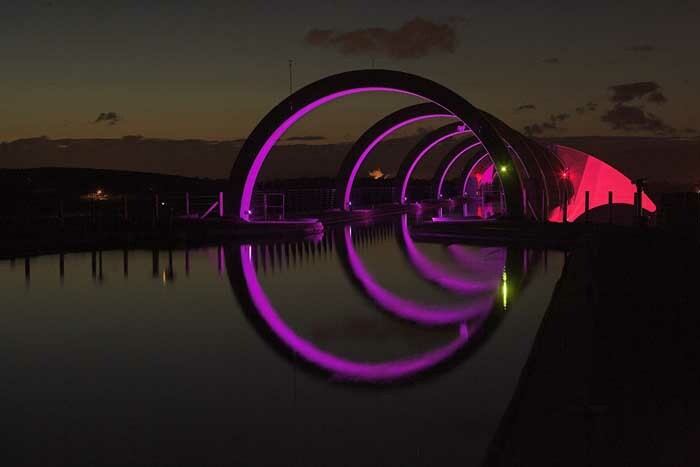 Phillip Martin, Mechanical and Electrical manager for British Waterways approached SSUK’s Scott Maitland, with the brief that he wanted the wheel to become “Vibrant and alive” through illumination. 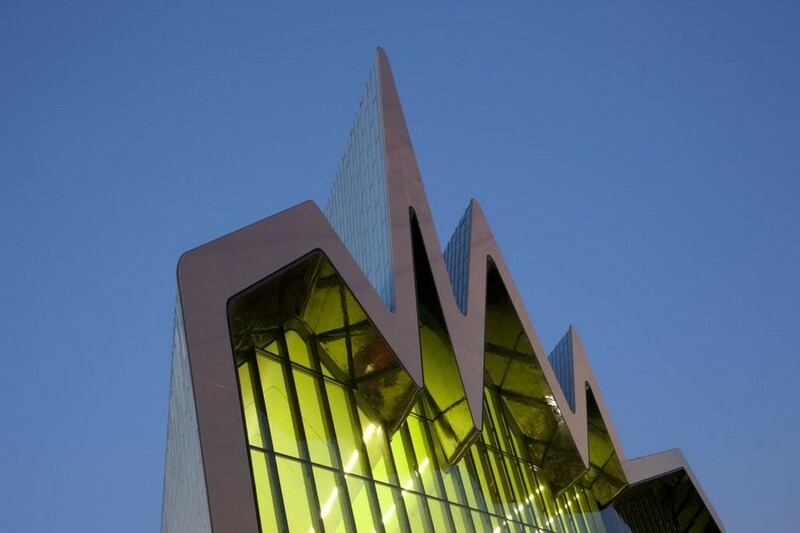 Maitland jumped at the chance of being involved with such a funky and high profile project, “The structure is absolutely magnificent” he says, “and I was hugely enthused about creating a lighting design from the word ‘go’”. He knew that Studio Due would fit the requirement – and the budget – perfectly. After several on site tests, he specified 31 Mini City 150s with shutters, two City Color 1800s and a City Beam 2.5K. “They were the brightest and the best fixtures for the job” he affirms. The City Beam blasts the front face of the Wheel and covers the largest surface area, right up to the top. At each end of the wheel are two Mini City’s, and dead centre of the main section are the two City Color 1800s, mounted in the well at the base of the structure. A further two Mini City’s are focussed up onto the curved aluminium panel of the main wheelhouse, which contains the control for all the Wheel’s mechanics. Each side of the Wheel’s four supporting columns there are three Mini City’s, attached to the concrete with customised brackets. Each fixture is crossed over to light the inner side of the next column. 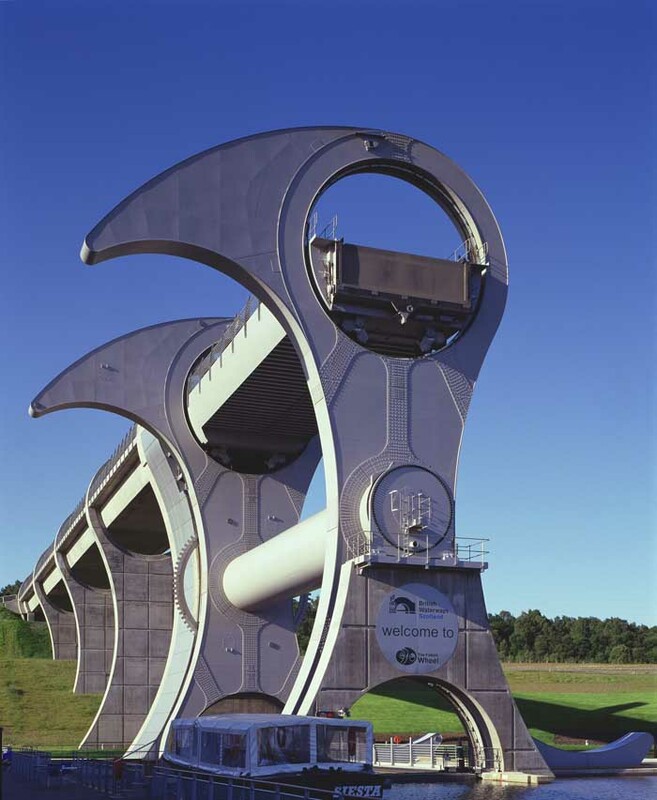 The spine of the wheel – a viaduct channel where boats at the top water level enter and exit the Wheel – features five structural hoops. With only a 12 Volt power supply available here, LED lighting was the only option. 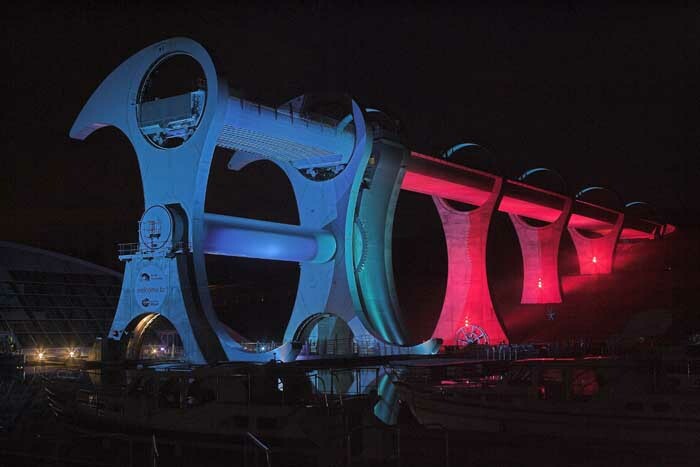 SSUK designed some waterproof 12 way RGB LED fixtures for this – which will be come an off the shelf product for the company’s soon to be launched architectural division, LumiVision. The LEDs and all the Studio Due kit is controlled by a Robe 1024 DMX lighting desk. This was chosen by SSUK’s installation team crew chief Duncan Turner. Turner is a big fan of the desk, and thought it was ideal for this application because it’s quick and easy to programme, and is comprehensible to the semi technical personnel at the Wheel Centre who will be operating it most of the time. The 1024 has dual DMX out – unusual for a board at that level. A disk back-up is another useful feature from the programmer and installer’s viewpoint, and ensures the console is automatically backed up, making fixing easier if there’s a fault. For inside the visitor’s centre, SSUK supplied a selection of Robe Show Lighting 250 and 575 moving heads. These are utilised for image and logo projection onto the Wheel for special events, and also for creating colour washes and atmosphere for functions taking place inside the visitor’s centre. These lights have a separate Robe 512 controller. 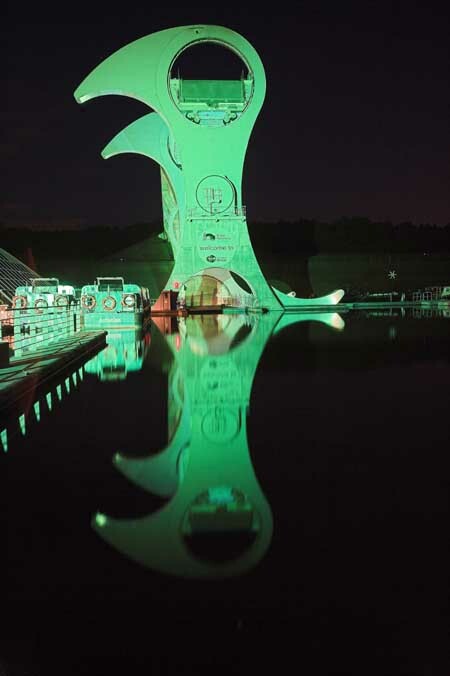 British Waterways are delighted with the illuminations which help enhance the Falkirk Wheel’s stature as the third most popular visitor attraction in Scotland. 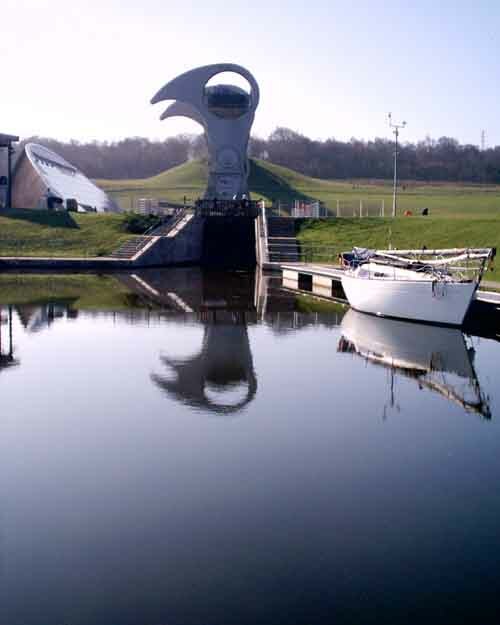 Police investigating the vandalism of the £17m Falkirk Wheel in Scotland are appealing for further witnesses after interviewing several people.